The rubber element is a critical component in developing the characteristics of a marine fender system. 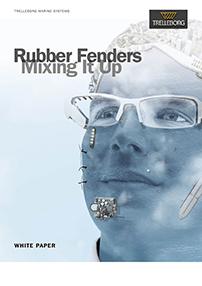 The mixing process, the equipment used and the impact of carbon black dispersion on fender quality are all discussed in “Rubber Fenders: Mixing It Up”. To ensure rubber fender performance from superior formulation to the mixing process and machinery used, download the white paper now.